You may have noticed a deluge of shorter blog posts over the past week. They’re not quite stream-of-consciousness, but they’re also not quite refined, finalised, percolated-into-the-crystal-goblet cogent ideas. Which is kind of apt really, because I’m just churning things over at the moment. Flitting specks of knowledge begin to form into ideas — and then spin away into the corners of my mind. They re-emerge a few days or weeks later — usually when I’m sitting on the toilet — and only then do they start to make sense. What I’m trying to say is: I’m currently a gargantuan, hairy ape chock-full of knowledge, but almost bereft of useful ideas. I’m sure they’ll come, when they’re ready, but I’m more than happy to keep absorbing knowledge in the meantime! There was a lot that Billy said that was gibberish to the Tralfamadorians, too. They couldn’t imagine what time looked like to him. Billy had given up on explaining that. The guide outside had to explain as best he could. The guide invited the crowd to imagine that they were looking across a desert at a mountain range on a day that was twinkling bright and clear. They could look at a peak or a bird or a cloud, at a stone right in front of them, or even down into a canyon behind them. But among them was this poor Earthling, and his head was encased in a steel sphere which he could never take off. There was only one eyehole through which he could look, and welded to that eyehole were six feet of pipe. This was only the beginning of Billy’s miseries in the metaphor. He was also strapped to a steel lattice which was bolted to a flatcar on rails, And there was no way he could turn his head or touch the pipe. The far end of the pipe rested on a bi-pod which was also bolted to the flatcar. All Billy could see was the dot at the end of the pipe. He didn’t know he was on a flatcar, didn’t even know there was anything peculiar about his situation. You’d need to have read the book for this to fully make sense, but basically: Billy sees the world in three dimensions; Talfamadorians experience the world in four. The entire passage feels like it’s dedicated to the bullheaded blindness of humanity. Anyway, with Vonnegut out of the way (I really wish he’d written more short stories — he’s better at those), I’ve now moved onto Aldous Huxley’s Brave New World. The first 40 or 50 pages consisted of two introductions by irritating I-know-longer-words-than-you-ner-ner-ner scholars, and then a retrospective introduction by Aldous himself. After three nights, I’m finally onto page 2 of the book itself! In other news, I passed my driving theory test again. 50 out of 50! I also booked my driving test for September! I’ll be going to Wales for 4 days — three days of intensive tuition, followed by a test on the final day. Exciting! And unlike drizzly, grey, underwhelming Norway, I’m almost guaranteed good weather! Yay July! Yay Mediterranean! So we can expect to see a picture of your JUST LIKE this one, right?? You will LOVE Brave New World. Love. LOVE. LOOOOOOOOOOVeeeeeeeeeeeeeeeeeeeeeeeeeeee (and on and on)……….. I stayed up very late last night and read the first 50 pages of the book. The Hatchery and Conditioning plant is just plain CREEPY. Oooh, Montenegro! Very nice. And it has a Bay of Kotor. That is awesome. I read Brave New World in high school. I thought it was pretty interesting. A) you are all over the place but its kind of fun. 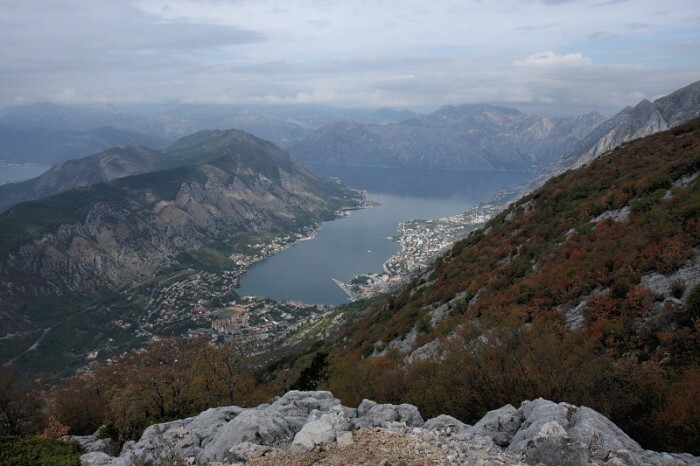 C) Montenegro is supposed to be a paradise of cheap wine and wonderful scenery and balmyness. Enjoy! Bring back photos! RIGHT? It’s totes supposed to be creepy. 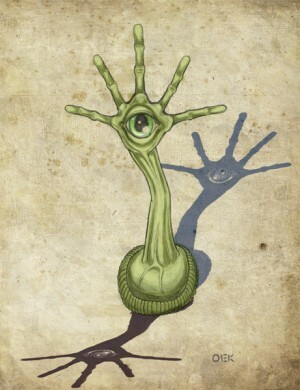 Later on you’ll see weird resemblances in our own world that match the things there… and it will creep you out even more. How what we have now is basically his prediction, just made in an easier to swallow manner. Art — you’ve read Welcome to the Monkey House, right? And only ‘kind of’ fun? I appreciate my tastes are eclectic, but ultimately inscrutable, no…? I’d forgotten that I say “So it goes” because of Cat’s Cradle! Apparently my long term memory is as good as my short term memory. Which is to say, “not good”. Also, this comment is another in the pile, egging you on to get on top of that mountain to replicate that picture but with better weather and in higher definition. Do it! Welcome to the Monkey House, Jailbird, and Player Piano are waiting for me on my shelf. I’m a little bit of a Vonnegut nut. I think I read this short story called God Bless You, Dr. Kevorkian by him. I think I read Hocus Pocus, but I didn’t enjoy as much, though other people I know have loved it. I also had to read Brave New World in high school. I enjoyed it okay, but as with most books I read in high school, it deserves another read to let me experience in a way that isn’t studying it for a test. You’re supposed to read the introductions to novels after you read the novels themselves, otherwise they tend to spoil the experience. Bearing that in mind, I am not quite sure why they’re called introductions, or why they are placed at the front. I assume it is some sort of blockheaded academic convention. I never got round to reading ‘Brave New World’, but most dystopian fiction is kind-of-utopian if you’re the right sort of loony. ‘1984’ by George Orwell describes a jobsworth’s paradise. ‘Anthem’ by Ayn Rand portrays the sort of future that the crazier sort of environmentalist dreams of (though that’s not what she was driving at). The only exception I can think of is ‘I Have No Mouth And I Must Scream’ by Harlan Ellison, in which the future is more horrible than a sane person could ever imagine. Darn, I guess I have a few more Vonnegut books to read then, before I have covered his whole gamut! I presume he sticks to that weird meta-fiction thing in all of his novels? Odd that it doesn’t appear in his short stories — guess they are the usual short story fare of tales/fables of warning . Nah, Brave New World is getting a little too far-fetched — I guess a price it pays for having been written some 75 years ago.